Ernie Godshalk (Baltic) Golden Eye (10th April 2019) – Sailing in the Baltic is still very quiet at the moment. Update from January report: the publishers of the Hamnguiden (or Havneguiden) series of pilots have issued a new edition (“3rd Utgåva”) of Hamnguiden 8, Arholma - Landsort (the Stockholm archipelago). 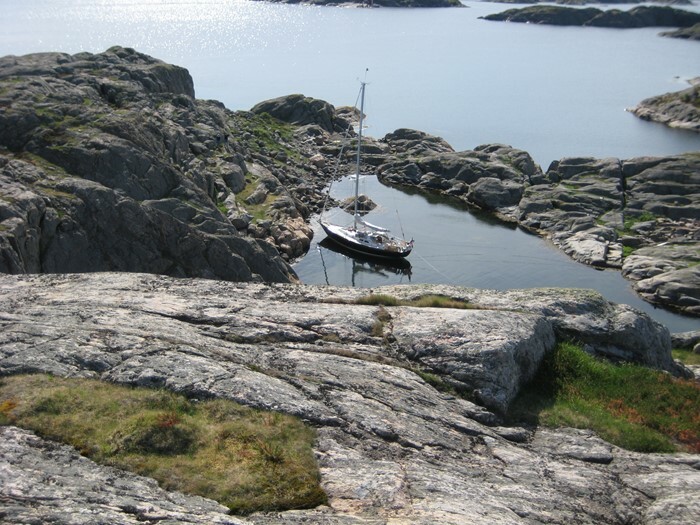 This primary guide to the archipelago includes more than 300 harbors, with chartlets and photos, and a new harbor numbering scheme. It is available at many chart stores or from the publisher at havneguiden.no. While it is in Swedish, there is a rudimentary English translation available online. See photo. Yours truly will be organizing a large cruise in the archipelago for The Cruising Club of America, The North American Station and Royal Swedish YC (KSSS) in late June-early July. While the cruise is, unfortunately, open only to members of those clubs, many participants are also OCC members and would welcome a visit by OCC boats in the area – assuming that you really want to be in a crowded harbor! If you will be in the Stockholm archipelago during that period, please ask me for our itinerary so that you may join us for a drink – or avoid us! I will be aboard Golden Eye in the Stockholm archipelago from 13 May until late July. Please let me know if you are in the area or have any questions with which I might help. In the meantime, I am aboard OCC member Ann Noble-Kiley’s Hinckley Bermuda 40 yawl, Passport, in the Caribbean. We have plenty of OCC company, currently RoRC David Bridges (Blue Yonder) here in St. Lucia.